Las Vegas, NV - Patriot Gold Corp. (PGOL:OTC), a developing gold and silver exploration and production company, today announced that its first gold pour has been processed from its Moss Mine project in Mojave County, Arizona. To date, precious metal sales have weighed in at US$365,826. This is based on 270.4 oz of gold and 588.6 oz of silver recovered over recent months from the Pilot Plant's operation at the Moss Mine. The precious metals were sold based on the price of US$1326/oz Au and US22.30/oz Ag. There are further shipments that are undergoing processing for which Patriot Gold is awaiting value determination. 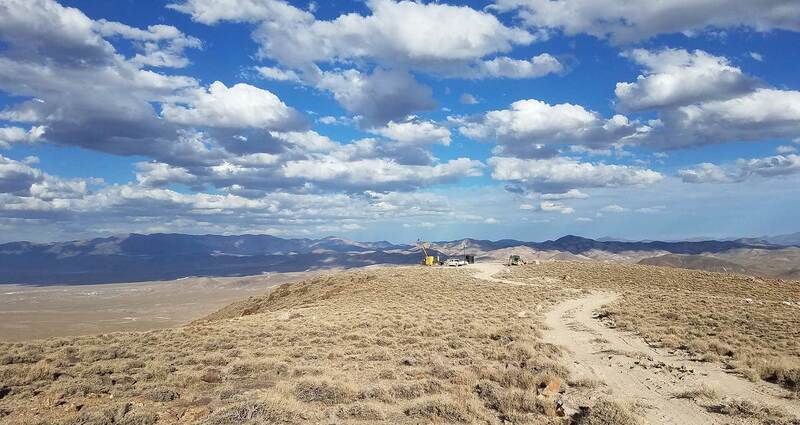 Patriot Gold's earn-in optionee partner has provided its most recent technical update coming from the Moss Mine gold and silver project in northwest Arizona, in which some very positive findings were reported. Construction of the Pilot Plant started in early May of this year and was completed at the end of July. According to the PEA (Preliminary Economic Assessment) for Phase I of the project, 91,000 metric tonnes (mt) of mineralized material was to be extracted from the mine. Mining commenced at the beginning of June 2013 and a total of 90,199 mt have now been mined. Crushing, screening, agglomerating, and conveying of the nearly 90,000 mt has been undertaken. Leaching activities that began in mid-August 2013 will continue well into 2014. Patriot's partner company has now gathered enough data from processing to allow for optimization of the leach pad design which allows for a potential increase in the permissible tonnage under the present PEA guidelines for Phase I of the Pilot Plant. Several shipments of gold-loaded carbon have already been sent to a carbon stripping facility. "We are delighted to reach this momentous milestone on our project, which has been fast tracked through to production. We look forward to gathering pertinent data over the next year to set the base for transition into Phase II operations," states Patriot Gold President and CEO Bob Coale. The Moss Mine Project is located approximately seven miles due east of Bullhead City, Arizona. Patriot Gold is the 100% owner of the historic Moss Gold-Silver property located in Mohave County, Arizona, which is subject to certain royalties and an earn-in option agreement for 70% interest. The earn-in optionee/operator has the right to earn a 70% interest in the project by completing an $8.5 million investment over five years and preparing a bankable feasibility study for the project. Subsequent to the optionee/operator earn-in, financing of the project will be on a proportional basis.